ICoo introduces the stunning Acrobat Shop N Drive a travel system that will have heads turning wherever you go. With its beautifully designed fabric the Acrobat features a unique suspension and steering system offering you an agile easy drive pushchair and providing a smooth ride for your child. 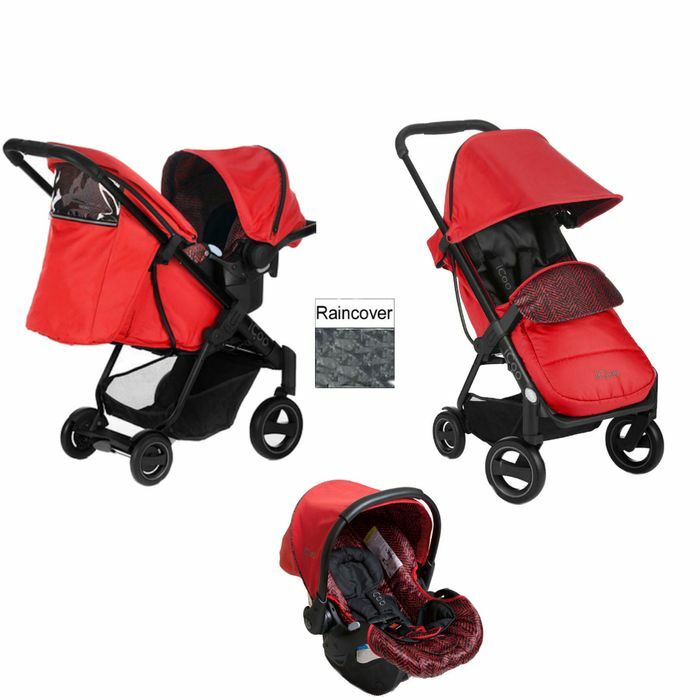 Complete with car seat, removable bumper bar, 5 point harness and rain canopy you will be ready for anything with this state of the art travel system. With its simple folding mechanism the pushchair offers a compact fold ideal for parents on the go. Featuring a plush seat cushion and a luxury leg warmer your little one will travel in comfort and style on those little trips out.